Whenever you’re in need of professional assistance in dealing with water damage like ceiling leaks, pipe bursts, or sewage backups, water damage Waleska technicians from 911 Restoration Atlanta are available 24/7/365 to provide you with a helping hand. When you have a water concern you need dealt with immediately, we will be there within 45 minutes of your emergency call to conduct on day the service. We are licensed, insured, and bonded to work on those issues so you can expect comprehensive solutions that will provide you and your property with a fresh start! Whenever a leak springs within your home, it brings with it moisture that can create the ideal environment for mold to start growing. 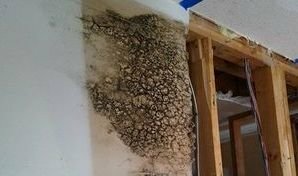 Fungal infestations can become full blown in less than 24 hours and it can spread quickly, but with 911 Restoration’s almost immediate response, we get to the bottom of the problem before any fungal growth can set in. Mold feeds of the surface where it grows which can lead to the deterioration of wooden components within your home. It will also spread via spores which can trigger respiratory conditions like asthma and coughing. When our water damage Waleska experts arrive, we will provide a free visual inspection that will locate the source of the leak and detect any indicators of mold growth. Through our assessment, we can recommend the right solutions that will solve the issue at the most affordable price. 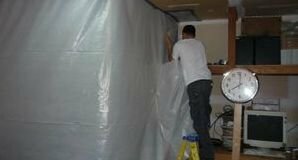 Our IICRC certified water damage Waleska techs can repair that leak right away and remove moisture using our advanced drying equipment. If we do detect fungal growth, our remediation services will remove mold using our eco-friendly cleaning solutions. We will also remove any spores that may have released into your home to prevent any future instances of mold growth, so give our water damage Waleska team with 911 Restoration Atlanta a call today! Through our quick response, state-of-the-art equipment, and expertise, our water damage Waleska team with 911 Restoration Atlanta can best take on those leaks for you. We will always put our customers first in all the work that we do so you can expect your home will look good as new once we’re done with the restorations. You can also count on us to assist you in filing your claims with your insurance provider for your absolute convenience. We will make sure that your home gets the repairs it needs right away to protect against any further harm including wood rot, flooding, or mold growth. For a fresh start after water damage like roof leaks, sewage spills, pipe bursts, or flooding, you can always rely on 911 Restoration to be there to help! 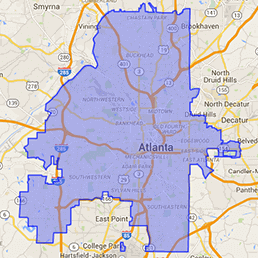 Give our water damage Waleska team with 911 Restoration Atlanta a call and we can help out with all of your home or office rejuvenation needs in no time today!